In the state of Assam, a sliver of India squeezed between Bangladesh and Bhutan, four million people are at risk of becoming stateless. The local government has put together a draft list of those it considers to be “legitimate” citizens and four million of Assam’s 32.9 million people didn’t make the cut. The National Register of Citizens (NRC) lists those who can prove that they or their parents were in India before March 1971, when Bangladesh became independent from Pakistan. Hundreds of thousands fled civil war in Pakistan, many choosing to cross the border into India’s Assam to escape the violence, which led to the formation of Bangladesh. India’s government says that those who came then or since should go back to Bangladesh. But Bangladesh doesn’t view those missing from the NRC list as Bangladeshi and says it won’t accept them. “People are scared,” says Sharifa Khatun, who comes from the remote village of Langia where, she says, she is among some 500 people who did not find their names on the list. “Our names were struck off the list, our family is sad. Many can’t stop their tears,” she says. Authorities say those who did not make the list will not be arrested or deported immediately but will have time to file for corrections before the final list is published by the end of the year. Most of those missing from the list say their Indian roots pre-date 1971; they can appeal the decision but many fear that without the proper paperwork, they will become stateless. An hour’s drive from Langia is the town of Nagoan and, there, another family is worried. Despite having Indian passports, some of the family’s names are not on the list. Hasiban says she thinks she is 103 years old and has always lived in Assam. Although her name is not on the list, her son, Mohammed Rehman’s name is and so he is considered Indian. The ultimate aim is just to reduce the Muslim population. More than a third of Assam’s population is Muslim and many feel the list is targeting them. Without citizenship, people cannot vote, work or go into higher education. Prime Minister Narendra Modi’s Hindu nationalist Bharatiya Janata Party (BJP) is in power at both the state and national levels. Modi – who has been accused of exploiting ethnic and religious divisions in India to shore up his political base – came to power on the promise of expelling so-called “illegal foreigners” and protecting the rights of indigenous groups. 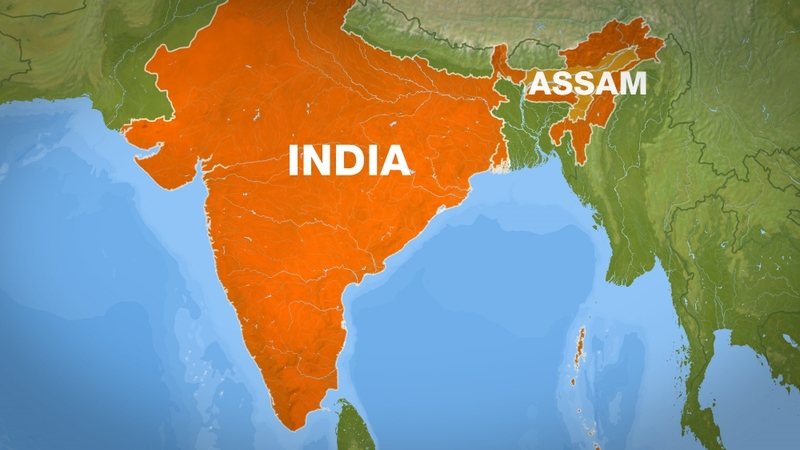 Critics say the Assam list is a way for Modi and the BJP – who face general elections next year – to further boost their support among India’s Hindus. They have been there for generations but should they be altering the politics of Assam? No. These are not Indian nationals. “All the Muslims here feel this is an extension of the prevailing situation all over India,” says Mohammed. “The ultimate aim is just to reduce the Muslim population … and that can only happen if they make some sort of scheme of this sorts where the Muslim influence or population is curtailed. This is what we believe, that’s what is happening,” he says. “Any self-respecting nation must identify those who are not nationals of that country,” says Sudhanshu Mittal, a spokesperson for the NRC. “We’ve had a huge amount of infiltration from Bangladesh and it’s time we identify those who are not Indian nationals,” he says. Al Jazeera travels to Assam to meet the people now facing an uncertain future and to challenge those behind the exercise on why it is so necessary.